Hiya guys! I've teamed up with some fantastic bloggers to bring you a segment showcasing each of our top five indie polishes. I had such a hard time trying to decide which ones to pick. Think about the torture of going through five helmers to pick out five!?! It was definitely not fun... okay maybe it was a little fun. It should go without saying that I kept changing my mind back and forth. A lot. Heck I was even dreaming about my choices. Polish addict problems, haha. After much contemplating, I had a break through! 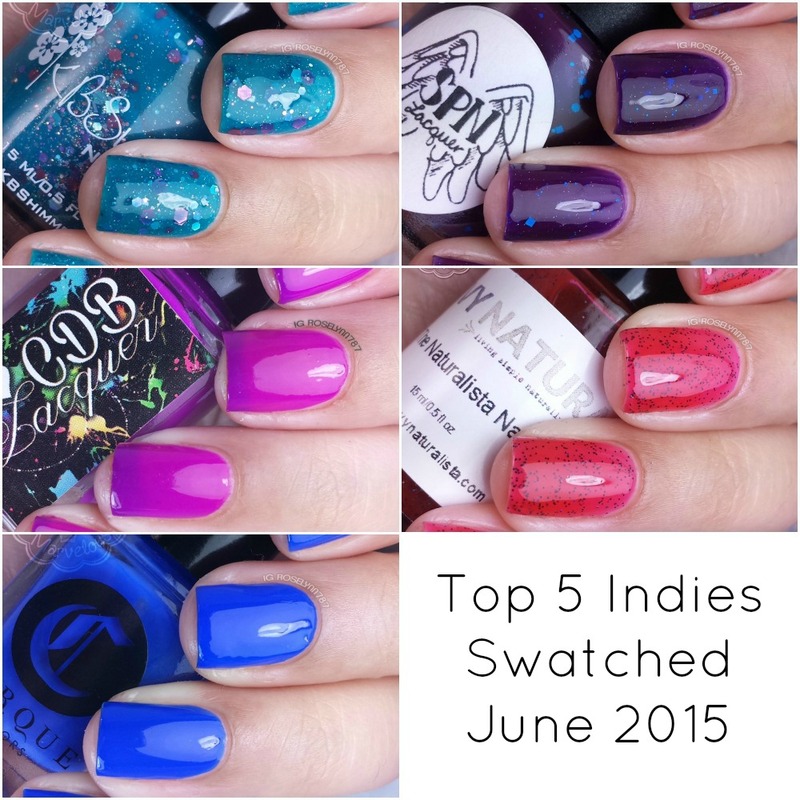 At the end of every month, I'll be sharing my top five indie polishes swatched within that month span. Fun times will be had. Now without further ado, here's my monthly top five picks for June! See some familiar ones? Because this is the first time doing this I ended up dipping into May swatches as well. Look at me breaking the rules already sheesh. 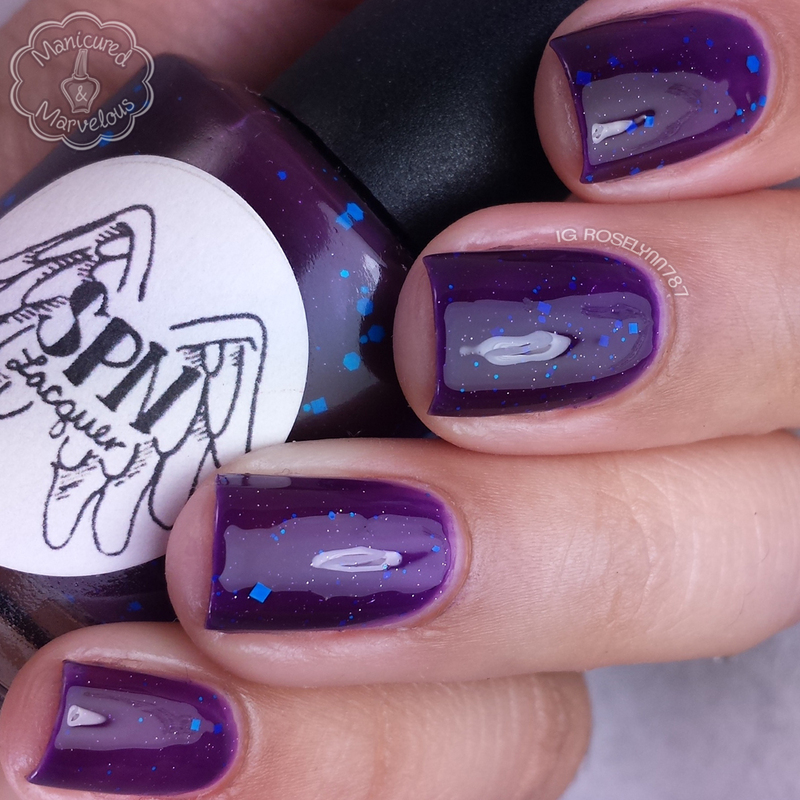 Purple Nurpled is a dark purple jelly filled with bright blue micro and square glitters. I've had this polish for over a year and it is still the first purple I end up thinking about when I want to do my nails. Earlier this month this was re-released with the relaunch of Supernatural Lacquer, but it's currently once again sold out. The good news is that it will be restocked in a few weeks. Strawberry Blast is a bright red jelly polish filled with small black micro glitters. That. Squishy. Finish. I'm so in love with this polish that it's probably one of my favorites of all time. Everything about it is perfection and it nails the namesake. This one is still available for purchase for only $8.00 at Savvy Naturalista's shop. Vitamin Sea can be described as an aqua jelly polish with pink, silver, and micro holographic glitter. The KB Shimmer summer release this year completely blew my mind away... and my wallet... and my husbands. He's still not happy about it, haha. But there is nothing more that I love than a gorgeous teal crelly and this one was made for my little polish addicted heart. This one is still available for purchase for only $8.75 at KB Shimmer's shop. 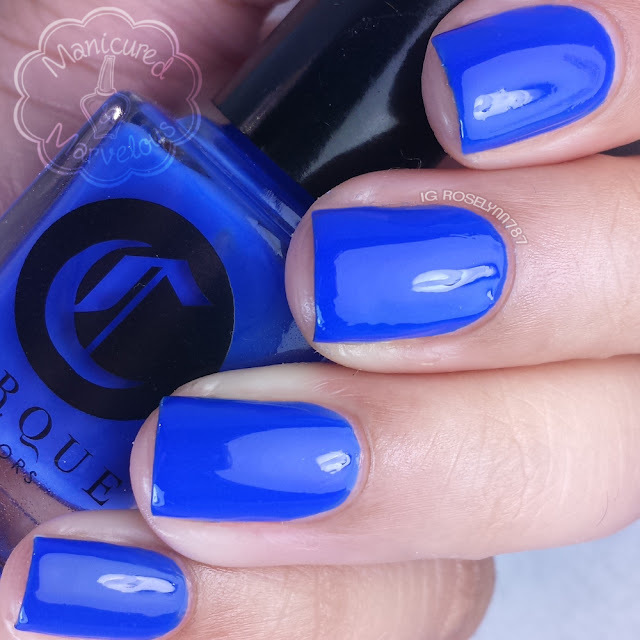 Santorini is described as a medium cobalt blue creme. I know a lot of people think of cremes as 'boring', but they are one of my most used finishes! Uh... hello watermarbles, gradients, stamping... the possibilities are endless. Unfortunately this blue wonder is no longer available for purchase as it was an LE in the collaboration with Nordstrom Pop-In Event. Playful Purple is a thermal that shifts from a bright fuchsia when warm to a dark purple when cold. 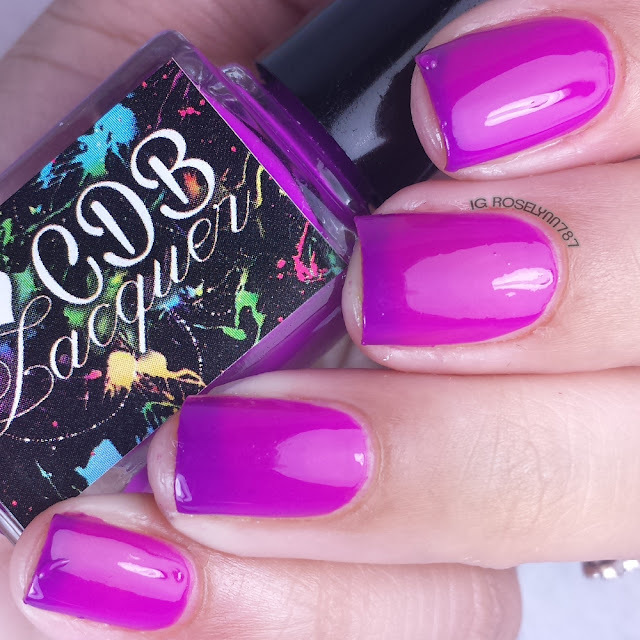 My love for thermals simply cannot be tamed and this summer CDB Lacquer introduced an entire collection of neon thermals. Trust me if I could put the entire collection on this list I would. Each of the gorgeous bright colors were available in three finishes and could watermarble and stamp. Yeah, it's no wonder these sold out so quickly. So what did you think of my May/June picks? It was so hard to narrow down! I'm glad I decided to participate in this segment though. Sometimes even though I may absolutely love a polish it can easily get drowned out in my massive collection. This should also make my end of the year round-up a little easier... right?! Oh gawd, let's not that think about that now haha. I can do without the polish induced nightmares for a bit. Tell me guys, did you see any new or old favorites here? Lovely choices! I hope I can get some Supernatural Lacquers during the next restock!! I'm anxiously waiting for the next restock too there are a few more I'd love to nab! She sold out so quickly last time. Great choices!! I love the CDB lacquer! Thanks! CDB Lacquer really knocked it out of the park this year with these neon thermals. Ugh Roselynn, theyre all so freaking pretty on you! Great choices! Nice choices! I opened this up and fell in love with Purple Nurpled! That's definitely one of my all time favorites. I cannot believe I have had it over a year and it's still flawless. Definitely agree! Cirque Colors does cremes so amazingly. I want to buy every single one of yours! The jelliesssss! These are all beautiful! I adore that Strawberry polish. So pretty! Great picks! 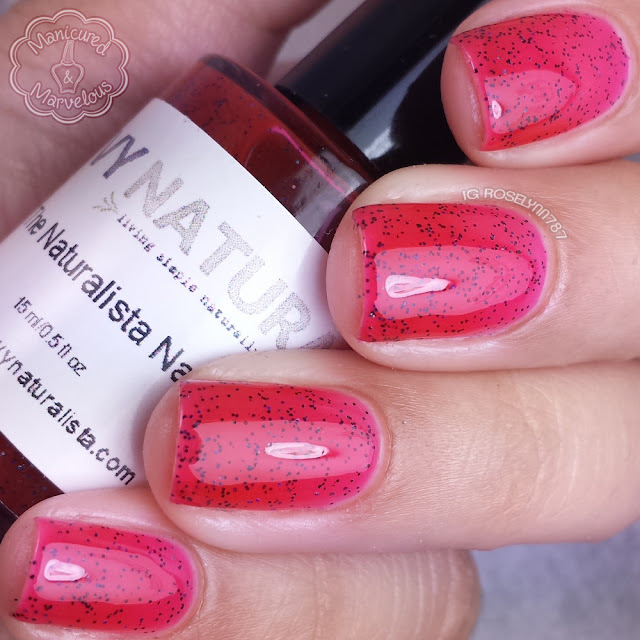 I love Strawberry Blast from Savvy Naturalista and may need to get my hands on it! I love posts like these!! I STILL need to try Cirque out!! Purple Nurpled and Vitamin Sea would both make my list, too--love them. :) Can't wait til my post goes up tomorrow! Ooooh that Cirque looks amazing!! Vitamin Sea andPurple Nurpled just went on my lemmings list! Beautiful choices! I love Santorini!!! Playful purple is so gorgeous. I wish thermals lasted longer or I would have more. Awesome choices! I think the KBShimmer and the Cirque are my favs of your picks.